Integrity Surety and other National Association of Women in Construction members will be a part of history! They will be participating/volunteering for WSDOT’s Tunnel to Viaduct 8k Run/Walk this Saturday, February 2nd, 2019. This event allows you to be the first to step foot in the new SR 99 Tunnel while saying goodbye to the viaduct before it is torn down. You can join NAWIC and others and participate in this event for a fee. 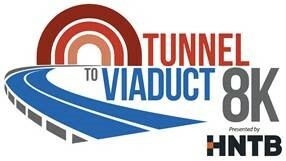 Or you may sign up as a volunteer and still witness the grand opening of the new SR 99 Tunnel. To participate in the 8k, register here. To volunteer, sign up here. Visit the event website for more info. Race starts at 7:30 am, Saturday, February 2nd, 2019. Last day to register is Friday, February 1st, 2019! SBA-backed Surety Accounts! Financials and Taxes are due! Surety vs. Insurance: What’s the difference?